iMindQ is a brainstorming, collaboration and mind mapping solution used to visually organize thoughts through mind maps, organic mind maps, concept maps, flowcharts, and other diagrams with help to collaborate and brainstorm with the entire team. iMindQ incorporates many types of map styles for business, educational and personal use that could be used by any department in an organization, school system or university. In addition, iMindQ can help individuals stimulate learning, organize and visually present ideas. Mind maps, concept maps, flowcharts, Gantt charts, Organizational charts, WBS charts and other types of diagrams help present key information in a rather easily memorable and understandable format. iMindQ can be used when generating new ideas or when trying to get the most of a major workload or information overflow. I use iMindQ to manage projects in visual way. It's great way to see BIG picture of projects,tasks..
time saver, Project Management overview, easy way to present informationiMindQ is very useful in Project Management area. Many options to create tasks with contextual informations, like resources, time (start,finish), relations etc. iMindQ has Gantt chart view also, so it's easy to "read" map - as structural tree and Gantt chart. Except task topics, I add contextual notes, attachments, links - so the most important documents are very easy to open in a few seconds. iMindQ is very useful in Project Management area. Many options to create tasks with contextual informations, like resources, time (start,finish), relations etc. iMindQ has Gantt chart view also, so it's easy to "read" map - as structural tree and Gantt chart. Except task topics, I add contextual notes, attachments, links - so the most important documents are very easy to open in a few seconds. 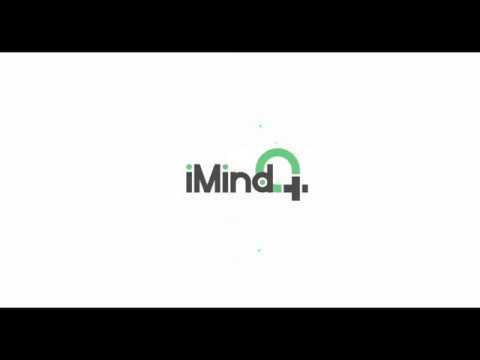 If you are into mind mapping, iMindQ (especially the last version) has all the features you'd need, for affordable price... Recommending! iMindQ helps inspire creativity, stimulate brainstorming, and provides a unique approach towards visualizing, organizing and presenting ideas. The solution helps teams with solving problems, planning, decision making, note taking and organizing information. Create mind maps, concept maps, flowcharts and diagrams, and use the flexible whiteboard space and interactive HTML5 mind maps. iMindQ integrates with MS Office and SharePoint for one click presentations. Brainstorm and organize ideas on the web, present instantly, and save all work on the popular cloud storage services including Google Drive, Box, DropBox, nd more with iMindQ Online. Below are some frequently asked questions for iMindQ. Q. What type of pricing plans does iMindQ offer? Q. Who are the typical users of iMindQ? Q. What languages does iMindQ support? Q. Does iMindQ support mobile devices? Q. Does iMindQ offer an API? No, iMindQ does not have an API available. Q. What other apps does iMindQ integrate with? Q. What level of support does iMindQ offer?